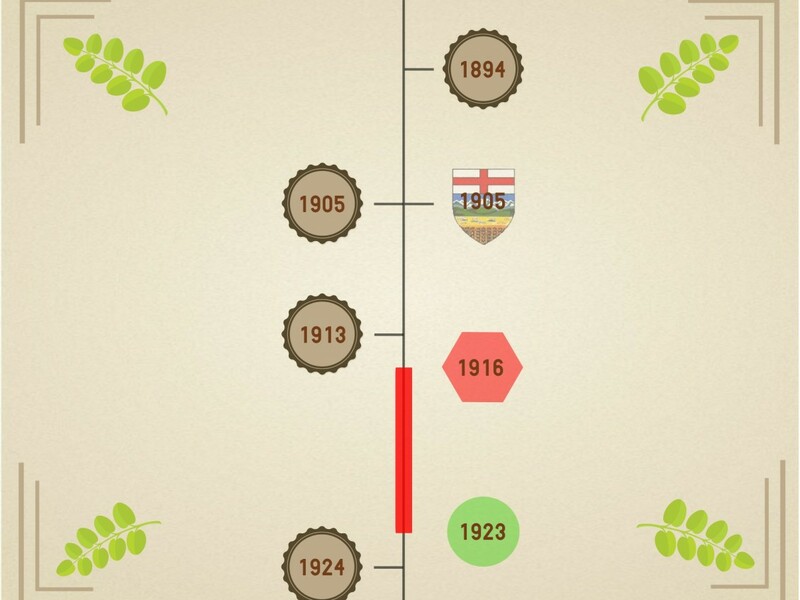 A timeline of the people and places, things and moments that created Edmonton’s brewing legacy. Whether or not you’re one to personally enjoy the sudsy beverages, Edmonton has been shaped by a brewing and distilling industry that has ebbed and flowed since the late 1800s. It’s a boom and bust cycle that we’re all familiar with, with brewers fighting not only with a changing economy, but also Prohibition, commercialization and changing legislation. The story begins with craft brewers, who built unique brands that were enjoyed in pubs and homes across the Province. After all but disappearing for decades, craft brewing in Edmonton is back for another round. Here’s a history primer that outlines a sequence of events that lead local brewing to where it is today. On March 22, 2015, history nerds and Beer Geeks met for some alchemy at Alley Kat brewery, giving birth to the Girder Bender heritage brew.